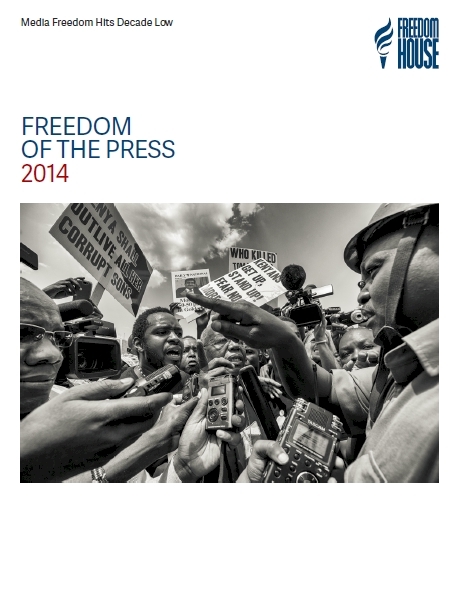 The Freedom of the Press report assesses the degree of media freedom in 197 countries and territories, analyzing the events and developments of each calendar year. Ratings are determined through assigning scores to a set of 23 methodology questions that seek to capture the varied ways in which pressure can be placed on the flow of independent information and the ability of print, broadcast, and internet-based news outlets to operate freely and without fear of repercussions. to other extralegal abuse and harassment; and economic pressures on content and the dissemination of news. Ratings reflect not just government actions and policies, but the behavior of the press itself in testing boundaries, even in more restrictive environments, as well as the impact of nonstate actors. Each country receives a numerical score from 0 (the most free) to 100 (the least free), which serves as the basis for a press-freedom status designation of Free, Partly Free, or Not Free.